Henri Stressor’s The Oyster Eater is in the news this month. It’s going up for auction in Paris with an asking price of 1.75 Million Euros! The Oyster Eater used to be owned by Napoleon’s uncle, Cardinal Joseph Fesch (1763-1839) and is being shown by Bernheimer-Colnaghi at the XXVth Biennale des Antiquaires in Paris from 15 to 22 September 2010. Not much is known about the artist Henri Stressor apart from the fact he painted several portraits of Louis XIV and the Parisian aristocracy. 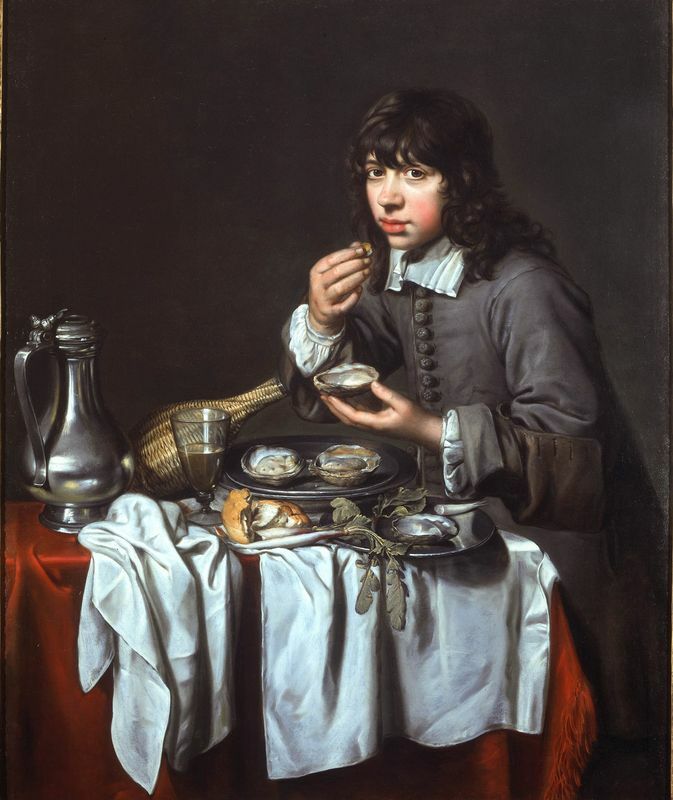 If you like the The Oyster Eater and don’t have a spare 1.75 Million Euros to buy it, you can of course always purchase an art reproduction of it. Original dimensions of the painting measure 107cm x 89 cm. We’d love to hear from you! Please contact us or leave a comment.